Windows 10 supports two types of accounts. One is the standard local account, which is not connected to any Microsoft cloud service. 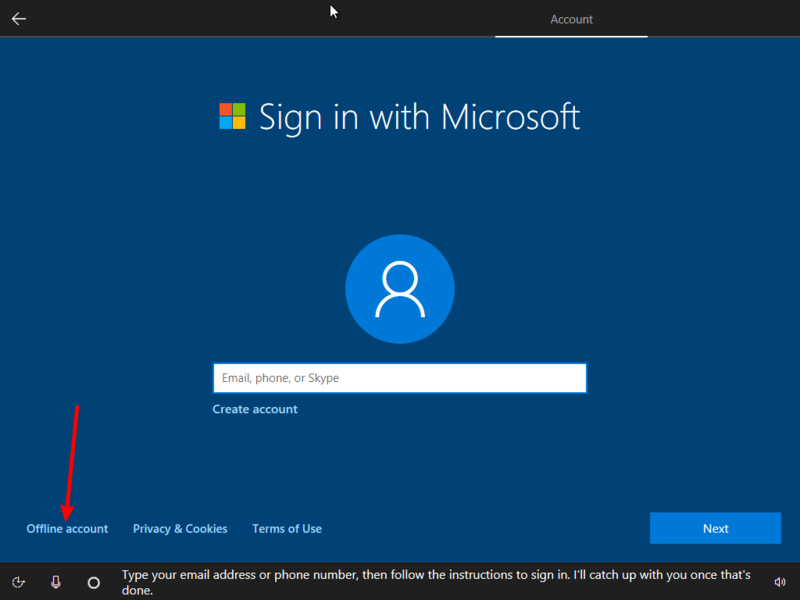 The other one is Microsoft Account, which is connected to many Microsoft services like Office 365, OneDrive and provides some extended features like synchronization of preferences and cloud storage. A Microsoft Account is great if you are using Microsoft's services. You can sync your files using OneDrive between all your devices. It can be used to manage your Store apps and update them automatically. With Microsoft account, your preferences and settings are synced between all your PCs. It comes with a number of other features if you have Windows Phone running Windows 10 Mobile. A local account cannot be used to sign-in to Microsoft's collection of services and cannot be used to install apps from Store. However, its password can be blank. A Local Account is the traditional user account type used prior to Windows 8. 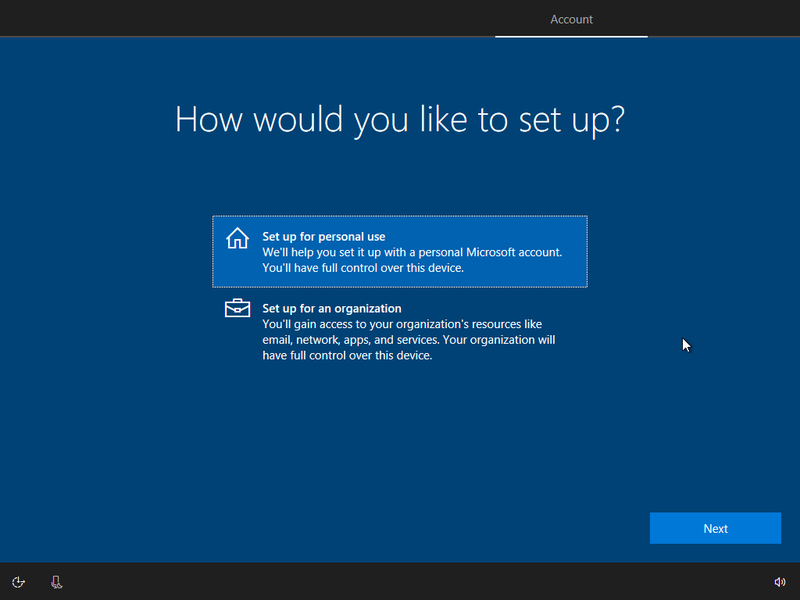 Windows 10 starts faster when you are using a local account. It doesn't sync or send anything to Microsoft servers. Microsoft Account has deep integration with Microsoft's cloud services like OneDrive, Bing, Skype and Office 365. It provides synchronization of your customizations and preferences. If you are logged in with the same Microsoft Account on each of your PCs, then you will get the same Desktop appearance everywhere (the same background and theme settings). Universal App settings and Quick Access Toolbar buttons will also be synchronized with every PC from where you are signed in. It is up to you which account type to use in the OS. Start installing Windows 10 from a bootable USB drive or your installation DVD. Follow the on-screen instructions until Setup asks you "How would you like to setup?". On the next page, click on the link 'Offline account'. Answer 'No' on the next page. Fill in the user name box. On the next step, provide the password if required. 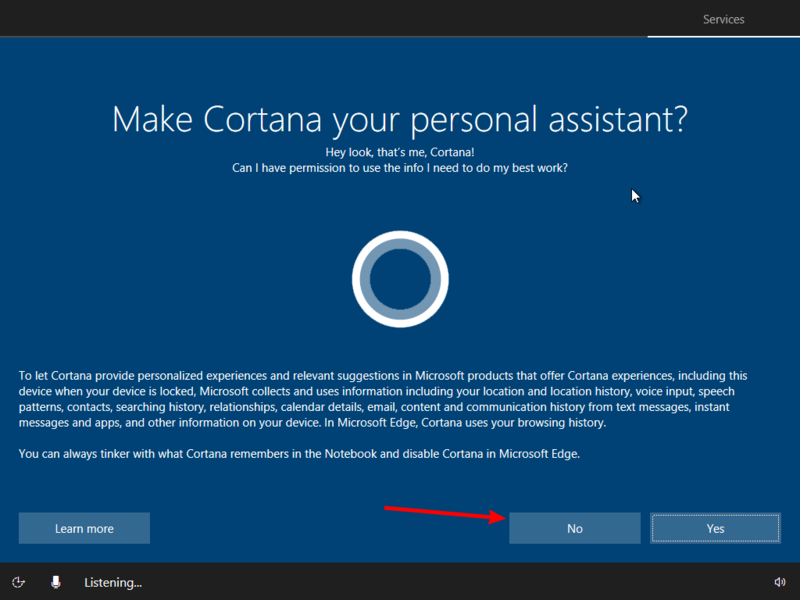 On the next page, disable the Cortana by clicking on the 'No' button. You just created a local account which will not send your credentials online and act like a regular user account you used to have in Windows 7 or Windows XP. 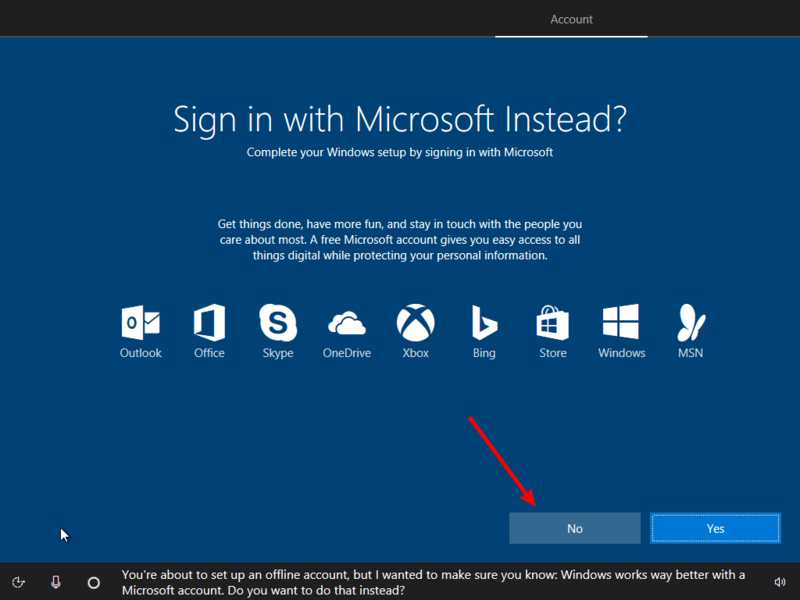 In Windows 10, Microsoft Account is the default way of signing in. 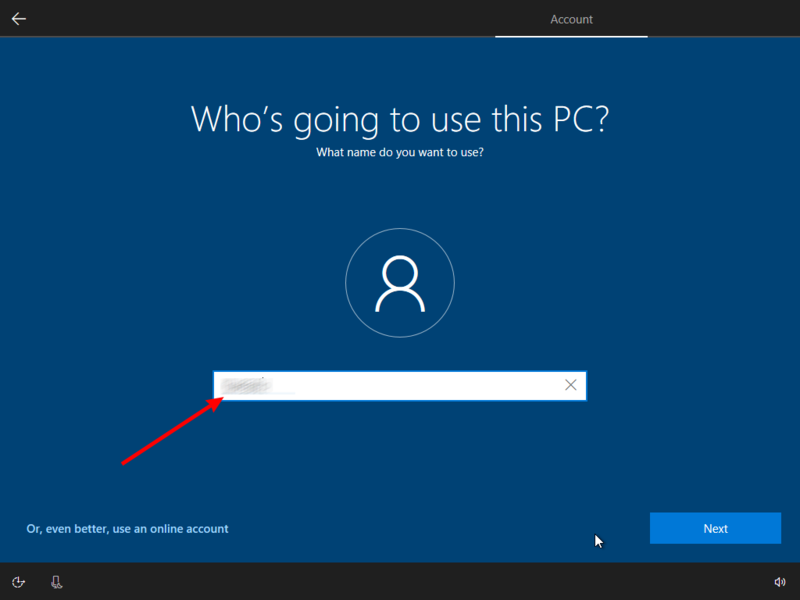 It is still possible to install Windows 10 using a local account that does not involve internet-based credentials, but the option to do so is hidden behind various buttons. In this article, we will see how to install Windows 10 Creators Update without a Microsoft Account. 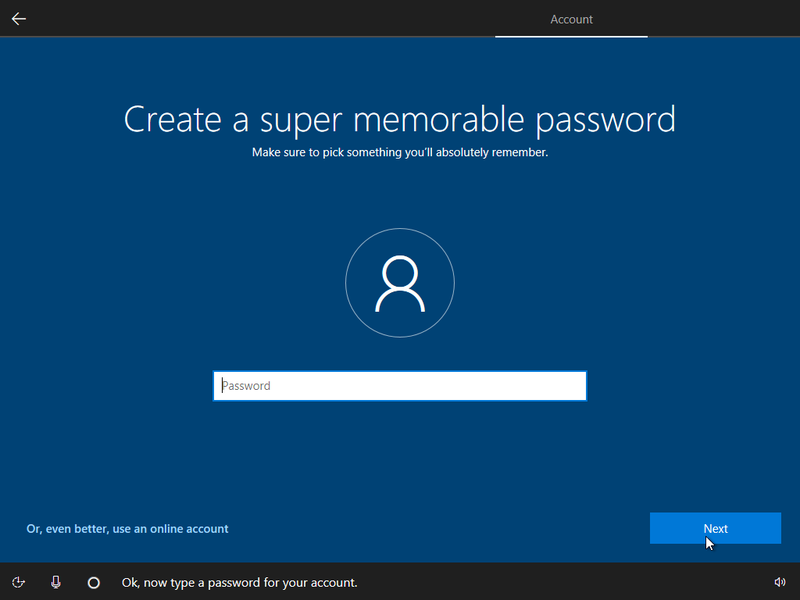 In Windows 10 Creators Update, Microsoft Account is the default way of signing in. This means that the OS requires your Outlook.com, Hotmail, MSN, or Live ID email address and password to sign-in to Windows. It is still possible to sign in using a local account that does not involve internet-based credentials.